Forgotton Anne is an Ghibli-inspired adventure game arriving in May, and it could be coming to the Nintendo Switch. Nintendo Switch fans might have another indie gem to look forward to. Forgotton Anne, a promising Ghibli-inspired game from ThroughLine Games under the Square Enix Collective umbrella, could be on its way to the Nintendo Switch in the foreseeable future. 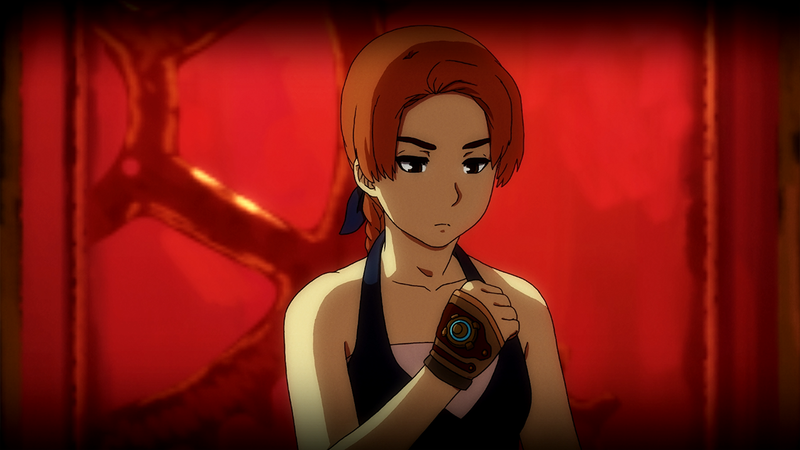 Demoed at EGX in 2017 and again this month at EGX Rezzed, Forgotton Anne looks and feels just like a playable Studio Ghibli adventure, set in a magical but dark world where sentient clothing items can be harvested for the energy that they produce. The art style was an eye-catcher at the two aforementioned shows where it was playable, and it’s one of the more promising games of 2018. The playable demo for EGX and Rezzed drops you straight into the beginning of Forgotton Anne with precious little exposition. This aura of mystery strengthens the story of the game, driving you forward in an attempt to find out who Anne is, why the rebellious forces are so hell-bent on destroying this society, and who this enigmatic father figure is that Anne looks to fo guidance. On April 14 for an interview at EGX Rezzed in London, associate producer Ingvi Snaedal confirmed to USgamer that the team were “actively considering” a Nintendo Switch port for Forgotton Anne. With just under a month to go until the game launches on PS4, PC, and Xbox One, the team behind Forgotton Anne are in the optimization and QA stage for the game, but a Switch port for Forgotton Anne is still very much on the cards. Forgotton Anne releases for PC, PS4, and Xbox One on May 15, 2018.